6th December 2018 – It has been another successful few weeks for Dina Asher-Smith (GBR) as she has picked up further awards in recognition of her outstanding 2018. Firstly, Dina was named the British Female Athlete of the Year by the British Athletics Writers Awards (BAWA). This was followed by being named BT Sport Action Woman of the Year and then at a star-studded awards lunch in London was named British Sportswoman of the Year by the Sports Journalists Association (SJA). 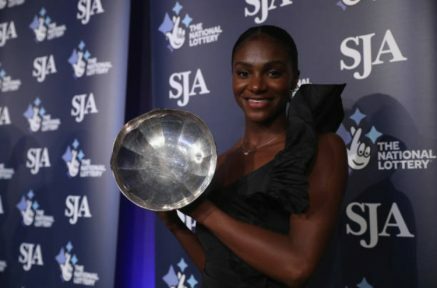 Christine Ohuruogu (GBR) was also honoured at the SJA awards as she was presented with the Spirit of Sport award which recognised her for not only being an outstanding performer but someone who proved themselves to be an outstanding role model in life.